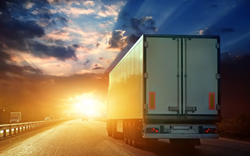 Learn more about Phoenix Capital Group's freight factoring programs. If a customer does not pay, or pays invoices slowly, then Phoenix Capital Group assumes the risk of nonpayment so you can keep your working capital. Non-recourse freight factoring is when a factoring company, Phoenix Capital Group, gives clients the ability to sell their invoices without recourse. The typical invoice factoring period usually takes 30, 60 or 90 days for the customer to pay the invoice back. Waiting 30 to 90 days for an invoice to be processed can lead to financial stress, that’s why many truckers come to Phoenix Capital Group for factoring help. Non-recourse freight factoring with Phoenix Capital Group means that if an account debtor does not pay a trucker’s invoice, the factoring company, will take the loss on that invoice, not the factoring client. Non-recourse factoring gives truckers and trucking companies the ability to haul their loads with confidence. Factoring gives companies the ability to respond to all business expenses without having to wait for their invoices to process. Phoenix Capital Group is essentially insuring the receivables for the factoring client. If a customer does not pay, or pays invoices slowly, then Phoenix Capital Group assumes the risk of nonpayment so truckers can keep a working capital. Learn more about Phoenix Capital Group’s non-recourse freight factoring program, along other services offered to freight bill factoring clients. Phoenix Capital Group is attending the largest heavy-duty trucking event in the world, the Mid-America Trucking Show (MATS) in Louisville, Kentucky. Join PCG at MATS 2016 located at the Kentucky Expo Center on March 31- April 2, 2016. PCG provides truckers and trucking companies recourse freight factoring services, non recourse factoring, equipment financing, and fuel card programs. PCG will be located in the Pavilion, in booth #70085. Clients and prospective clients will have the opportunity to take advantage of special rates, discounts and participate in multiple giveaways. Truckers will also be able to enter in PCG's big trade show giveaway. One lucky winner will be drawn for a huge gift on the last day of the trucking expo, Saturday, April 2nd. Stop by booth #70085 for more information. Phoenix Capital Group is nationally known and has been providing tailor-made financial solutions, primarily in the transportation industry for small-to-medium sized fleets, since 2001. Headquarters located in Scottsdale, Arizona, with offices in Missouri, Texas, and Tennessee. We partner with businesses of all sizes to help simplify and enhance transportation operations. For more information call (623)298-3450 or visit http://www.pcgfactoring.com.